Our 12 Days of Giveaways is just about halfway through (12/9/18 – 12/20/18), but there is still plenty of time to enter to win one of the remaining, awesome prizes. This time, we're showcasing some ammunition. 500 rounds of it. Grim Reaper Tactical is a veteran owned company operating out of North Carolina, which sells high quality, but reasonably priced bulk .223 ammunition. 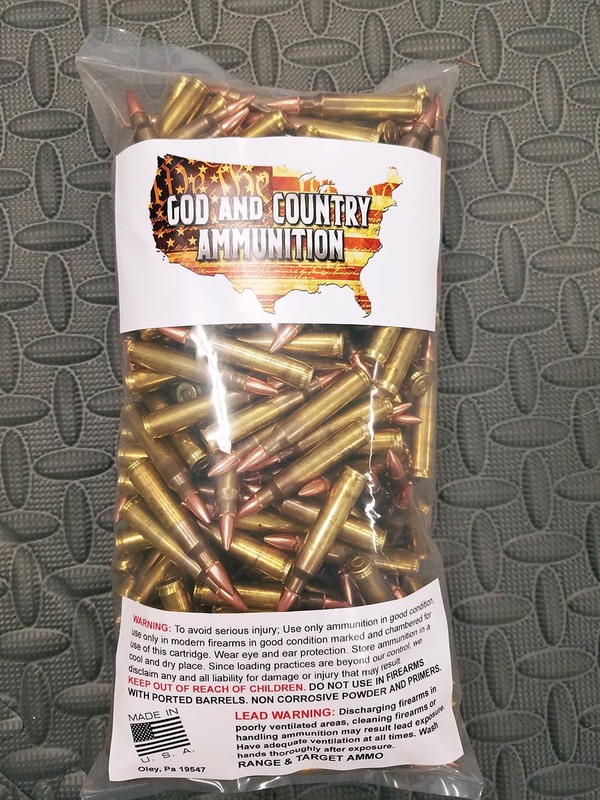 Tired of not being able to locate quality bulk ammunition at good prices, they decided to take up the fight themselves. One of the primary concerns of shooters and especially experienced ones, is trying to find low cost ammo that will run reliably and won’t blow up your gun. After one bad experience with cheap, low quality, and dangerous re-manufactured rounds, you'll wish you had paid a little extra for something worthwhile. I know I have. Anyone who trains often will tell you the initial cost of the gun is not what breaks your bank, it’s trying to keep it fed. You won’t find used casings in any of Grim Reaper Tactical's rounds, as it all comes from Lake City Brass, brand new and already primed from factories inside the US, while the bullets themselves are Hornady FMJ Boat Tail to ensure a steady progression in quality. Currently they only offer the .223 ammunition, but plans are in the works to stock other rifle and pistol calibers soon with .38 Special and .45 ACP already in development. Their real claim to fame is upfront, transparent pricing with a what you see is what you pay attitude. In fact, one of their taglines over there is this: Free Shipping, Always. Josh said his main goal with selling ammo isn't to get rich, but to help you train for the fight you may have ahead. Get ammo, get out, get training. You can visit their store, here: Grim Reaper Tactical. For more information about the 12 Days of Giveaways and how to enter, click on that link. Some of those are in development.